(Reuters) – The global cocoa market will see a supply surplus of 71,900 tonnes in the current 2018/19 year, on the back of last year’s smaller surplus, Connecticut-based brokerage JSG Commodities said on Thursday. 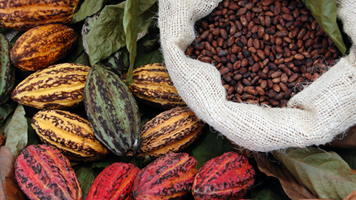 That follows a surplus of 21,620 tonnes last year reported by the International Cocoa Organization. World production is expected to be 4.81 million tonnes in the current crop year that began Oct. 1, higher than last year’s 4.64 million tonnes, said Eric Bergman, a vice president at JSG Commodities in Norwalk. Total grindings in 2018/19 are expected to be 4.69 million tonnes, Bergman said. Top producer Ivory Coast is in the midst of harvesting what is expected to be a record-large crop. Output from second-largest producer Ghana appears to be stagnating, but steadily growing production from Ecuador is helping to offset the effects of that stagnation, Bergman said.